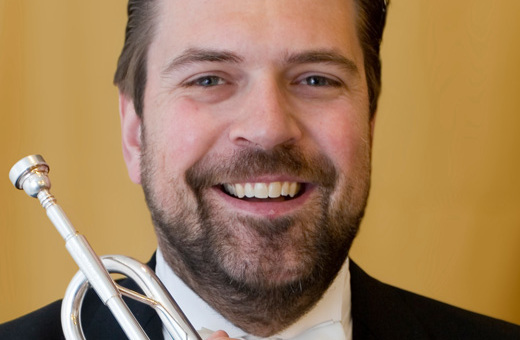 John Urness has been Principal Trumpet of the State of Mexico Symphony Orchestra (OSEM) in Toluca, Mexico, since 1997. Led by the Mexican conductor Enrique Batiz, the OSEM presents more than 80 concerts each year in the Mexico City area and on tours which have taken the OSEM to China (2005, 2012), Germany (2003), Spain (2003, 2006, 2010), France (2003, 2005), Poland (2003), and to the USA for a 49 concert tour with Columbia Artists Management in 2008. Recent recordings by the OSEM include the complete orchestral music of Jose Pablo Moncayo, and the complete Danzones of Arturo Marquez. Mr. Urness has been a frequent soloist with the OSEM, presenting concertos by Albinoni, Tartini, Vivaldi, Haydn, Hummel, Tomasi, Arutiunian, Krol, and Jolivet. In 2006 he played the Hummel Concerto with the National Symphony of Guatemala in Guatemala City. He has frequently performed concertos with various Mexican orchestras, including the Guanajuato University Symphony Orchestra, the San Luis Potosi Symphony Orchestra, the Chamber Orchestra of the UAEM in Toluca, the New World Orchestra, the Morelos Chamber Orchestra, and the Mexico Ensemble in Mexico City. In 2010 he performed the Arutiunian Concerto with the Sheboygan Symphony (Wisconsin, USA), in 2011 the Hummel Concerto with the Manitowoc Symphony (Wisconsin, USA), and also in 2011 the Arutiunian and Tartini Concertos with the Konx-Galesburg Symphony (Illinois, USA). In 2013 he performed the North American premiere of Tomasi’s “”Semaine Saint en Cuzco”” and Bozza’s “”Concertino”” with the Manitowoc Symphony, and also performed Shostakovich’s “”Concerto for Piano and Trumpet”” with the OSEM and the Morrocan pianist Marouan Benabdallah. As one of the busiest trumpet players in Mexico, he performs regularly as Principal Trumpet for Milenium Sinfonietta, Mineria Symphony Orchestra, Orchestra of the New World, Orchestra of the Americas, Mexico Ensemble, La Camerata, ONIX Ensemble, and has frequently performed as guest Principal Trumpet with the Guanajuato University Symphony Orchestra, including tours to China (2007) and Egypt (2009). He has played first trumpet for a variety of Broadway shows presented by OCESA in Mexico City, including “”Phantom of the Opera””, “”Les Miserables””, “”Beauty and the Beast””, “”Sweet Charity””, “”Mary Poppins””, and “”Wicked””. He has performed with both the Royal Philharmonic of London and the Israel Philharmonic on their tours of Mexico, and can be heard on the soundtracks for the Mexican movies “”Huerfanos””, “”Brijes””, “”Regresa””, and “”Serafin””. Mr. Urness is a frequent recitalist in Mexico and the USA, and in 2013 performed a recital at the SODRE in Montevideo, Uruguay. Originally from Wisconsin, USA, Mr. Urness hold degrees from Rice University and the University of Wisconsin-Madison. His teachers include Armando Ghitalla, John Aley, Dennis Najoom, and Jeff Schieble.